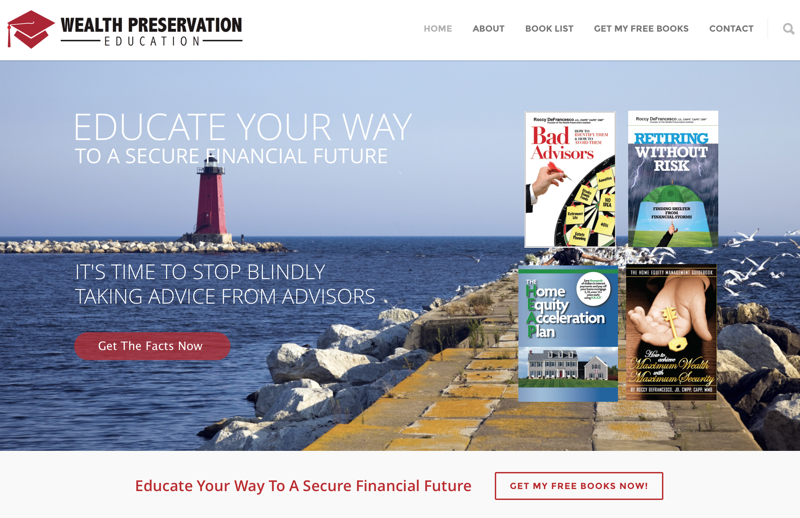 As you read this newsletter, you should be thinking to yourself….am I offering the “best” platform to help my clients protect and grow their wealth? For many the answer will be no. If you have any doubts, you should check out www.pomplanning.net/ummp. 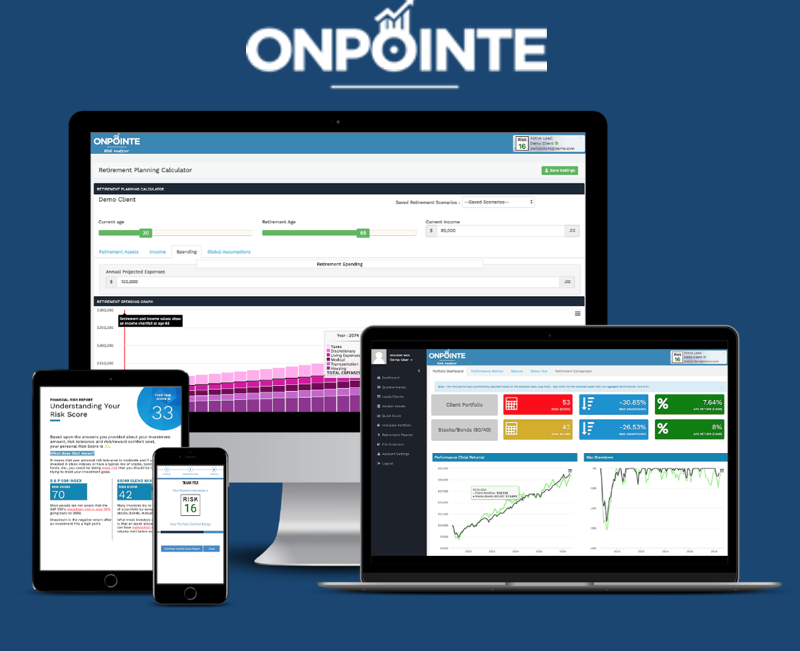 Their low drawdown risk/tactically managed platform is unmatched in the industry today. If your clients had money in the stock market last week, the 648-point drop in the Dow Industrial average surely got your attention and theirs. 2015 has been a tough year in the stock market. There have been far too many wild swings that are making the average investor very nervous. The Fed for the first time in nearly a decade raised interest rates, and has signaled that the plan is to gradually raise rates to a more normal level over the next year or more. The question is: what does that mean for the stock market? Depending on who you ask, you will get different answers. I’m of the opinion that we are looking at a significant stock market correction/crash over the next 12 + months. Some experts agree. If you like to follow historical trends, you’ll find the following chart interesting. It’s one showing that the last two stock market crashes occurred after a period of time when interest rates were raised. It’s truly a scary chart. -Just before the crash in 2000, interest rates peaked. -Just before the 2008 crash, interest rates peaked. 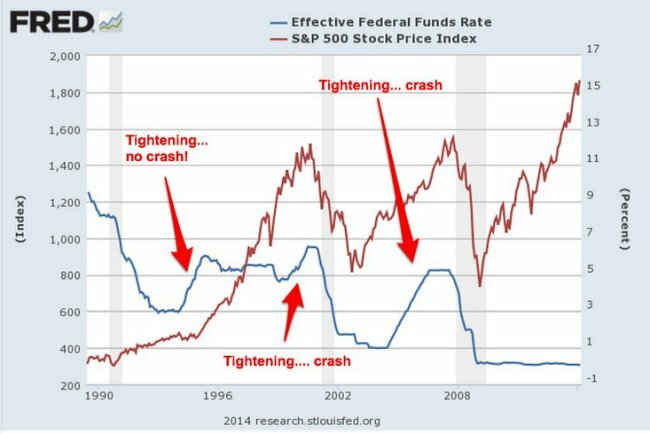 -Only in the mid-1990s were rates raised without a following crash. How high will interest rates go? I think the Fed would like them to be around 5% or higher. How long will it take the Fed to get there? I don’t think they will get there. I think the stock market will crash before the Fed gets rates anywhere near 5% and when the market crashes, the Fed will stop raising rates and could even lower them again. Am I right with my prediction? We will only know in hindsight. The million dollar question for investors is what are you doing to protect your client’s money from the next stock market crash no matter when it comes? Most are using “buy and hold” or “asset allocation” which will not work. Again, if you want to use a low beta/low drawdown tactically managed platform to help protect your client’s money, you need to check out www.pomplanning.net/ummp.